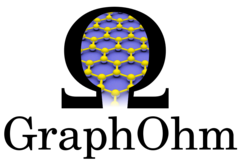 On this site you find information about the goals, progress and results of the Joint Research Project (JRP) "Quantum resistance metrology based on graphene". The project is undertaken within the “European Metrology Research Programme (EMRP)” according to the Decision No 912/2009/EC. The EMRP is jointly funded by the EMRP participating countries within EURAMET and the European Union.